Doesn’t this picture make you want to drop everything and go find the closest Bluestone Lane? or maybe that’s just me? That’s ok because we’ve reached Wednesday 👯 which means I am that much closer to another weekend and another brunch date, this time with one of my best friends who is coming into town! We’re thinking about trying out Littleneck or the new Friend of a Farmer in Brooklyn Heights, but if you have any suggestions please send them my way! 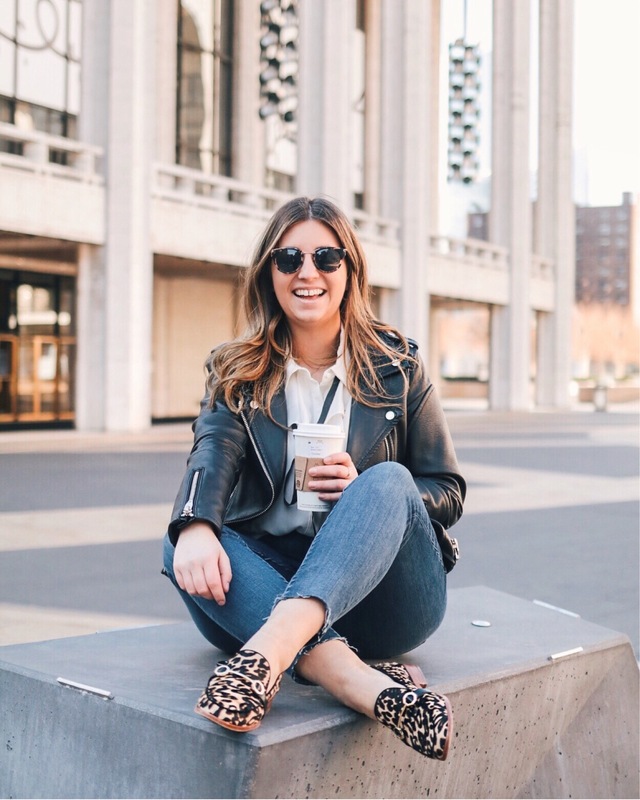 It’s been two weeks since my first Coffee Break post, so for those of you that might of missed it I started this series to share pieces of my life outside of just the usual #ootd. Plus, if you have any questions you can always comment and I’ll answer in future weeks. 1. Fast Company’s Most Innovative Companies 2016 – Ok this is a little blogging related, but I was so excited this week when it was announced that rewardStyle, the company where I’ve been interning since September was named one of the Top 50 Most Innovative Companies by Fast Company. There’s a great article here about how rewardStyle is changing the way we use social media and shop e-commerce! Also, if you’re a rewardStyle LiketoKnow.it user (if not, sign up here) make sure not to miss the release of the LiketoKnow.it app in early March! 2. No Bread No Pasta – My trip to Cuba is less than a month away, so in an attempt to eat healthier (in combination with my new workout schedule!) I decided to try to cut out bread and pasta until I leave. To be honest I’ve already had a bit of a hiccup with a slice of pizza Saturday night, but otherwise I’ve been doing well by preparing egg muffins for the week on Sunday (so that I don’t reach for my favorite almond croissants) and switching pasta for zucchini noodles. If you’ve never had zucchini noodles I highly suggest trying it out! I use this $13 spiralizer and cook the noodles with chicken sausage, a bit of garlic, and top with pesto – I promise it’s delicious! 3. Career Girl Daily – Career Girl Daily is one my favorite reads (along with Refinery 29 and PureWow) and if you’re a college student or post grad then you definitely need to check it out! Some of my favorite reads this week were the 6:3 Rule and the words you should Delete From Your LinkedIn. The site has a great mix of fun lighthearted articles and more serious ‘adulting’ ones. Let me know what you think of this week or what you’d like to see more of!